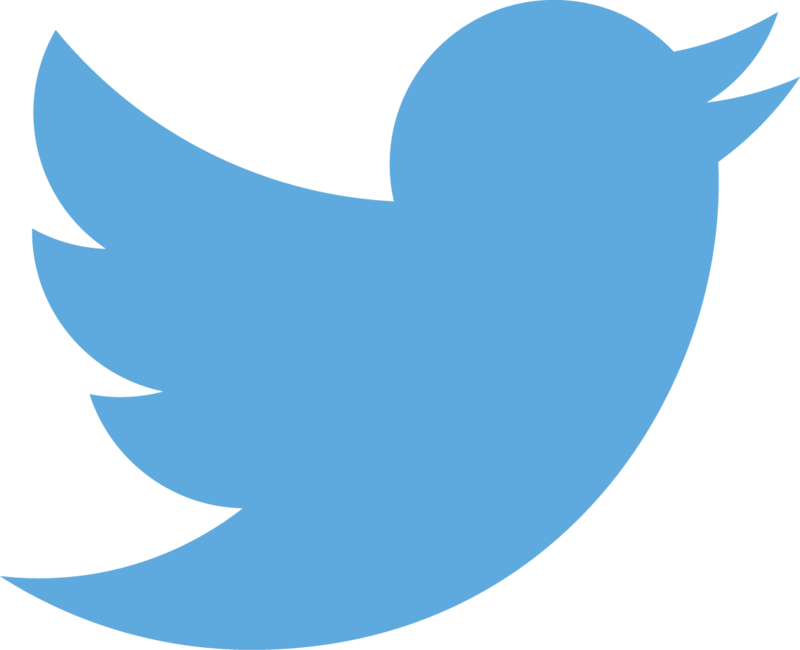 This is the Club Penguin Dot tracker for the 2015 Fashion Festival. We are tracking Dot the Design Gal in August 2015. 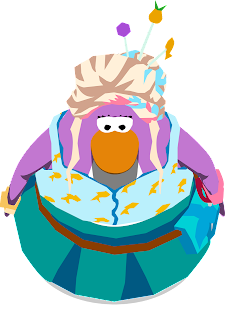 Dot, also known as Dot the Disguise Gal and Agent D on Club Penguin, is visiting for the first time on the island! She is appearing for the Fashion Festival for this year on the island. She can be found waddling across CP with our tracker that you can access below. When you meet Dot you can pick up her giveaway background and brag to all your friends that you met her! 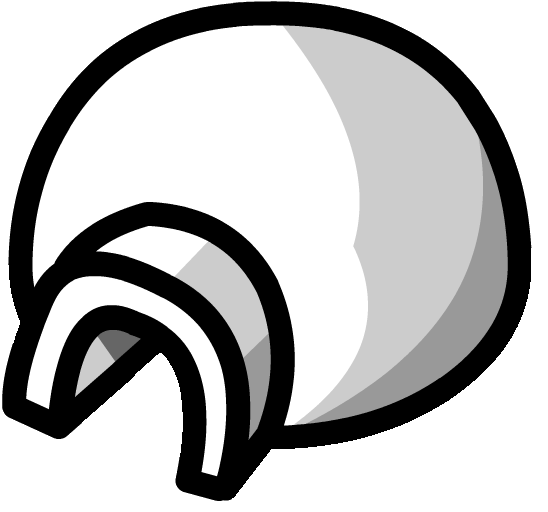 Dot is a mascot on Club Penguin, involved with the EPF (Elite Penguin Force). Her full alias, Dot the Disguise Gal, describes her role in the EPF and also her identity on the island. She is appearing at this month's party in a disguise as a fashion designer on the island. You will be able to find Dot on the island using our techniques here, with 100% accuracy. Dot has an unobtainable penguin color, it is a light purple color. The color cannot be seen anywhere else on the island, and is commonly mistaken for lavender although it is not. Dot has a bun hairstyle, a teal dress with a teal puffle handbag, and various jewellery assortments. Her playercard and in game penguin can be seen below. Dot the Design Gal's appearance. Using our tracker, you will be able to find Agent D on the island. 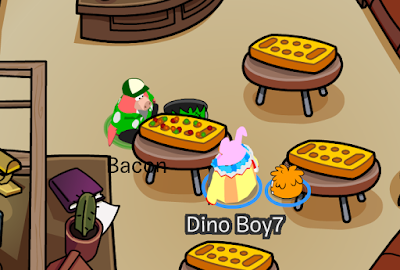 When we find her, the room is usually full of penguins wanting to meet her and it may be hard to click her playercard. Dot has some memorable quotes that she may say during her stay, so you can identify her easier. Here is some of the transcript the character has been known to say. "They don't call me the Disguise Gal for nothing, you know!" 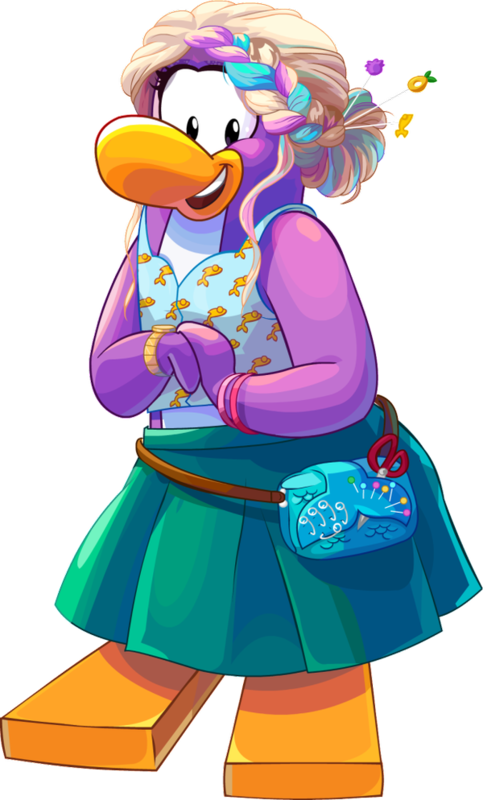 "I think you're all very creative"
"You make amazing outfits all the time"
Club Penguin Times Newspaper Issue #514 - Fashion Festival Launch! New Club Penguin Emotes For the Fashion Festival! Club Penguin - Meet Dot the Design Gal! Want to track more mascots? 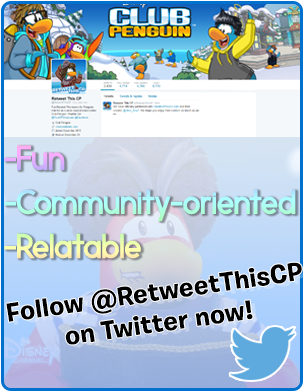 Please view my Club Penguin Mascot Trackers 2015.